This was what delighted me for miles between Montreal and Quebec City on October 7. If I got pictures as good as these by shooting on a gray day through a moving bus window, you can imagine what it looked like in person. We oohed and ahhed and said, "That's beautiful" a thousand times (I may be exaggerating slightly) while all the locals around us ignored the glory around them. Then, finally, the leaves or our excitement broke through and they too started taking pictures. 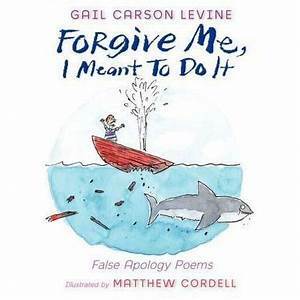 If you like playing around with fairy tales...and if you like light comic poetry...try "Forgive Me, I Meant to Do It; False Apology Poems" by Gail Carson Levine. Very clever. And some of the poems were really funny. It inspired me to write my own. It may very well do the same to you. This is such a fascinating topic, and I loved the anecdotes and descriptions of experiments that show hints of what animal cognition means. Though the concepts and processes the author explained were very interesting and enlightening, at times it got a bit too repetitive, philosophical, or historical for my tastes, and I wished he'd show more concrete examples of the concepts he was expounding on. That said, the concrete examples he did describe were fascinating. I loved the discussion of how to create an experiment that really tests what you're trying to test, and doesn't get caught in the filter of your own world view. Proper experiment construction has to be one of the hardest and most important parts of science. I think too often we construct tests that are designed to give us the results we want or expect—not just in science, but in statistics, politics, business, and life in general. 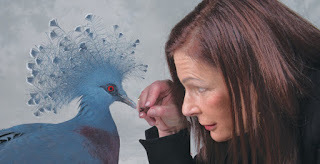 I learned a lot and began to think about animal cognition in a slightly different way. 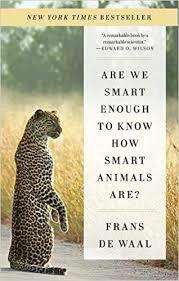 I would read more by Frans De Waal. This was very good and sad, about a historical event I rather shamefully didn't know much at all about. In 1947 India gained independence from Britain and split into two countries: India and Pakistan. Pakistan was for the Muslims. India was for the Hindus and everyone else. If you were caught on the wrong side of the border at the partition, you had to leave. Violence broke out. Many people died. Many more lost everything. How can normal people become so violent and hateful, especially when they have been coexisting for years? And why do we never learn? The writing was good, but as always in the diary format, I had a bit of a hard time suspending my disbelief. When you're writing in your diary, you don't remember long conversations exactly. A diary is also a rough draft, so it's hard to read something polished and sometimes poetic and believe it's a diary entry. Especially when it somewhat artificially builds suspense. But this is just my own personal, subjective problem with the diary format. The format does have its poignancy, especially since she's writing to the mother she never knew. I liked the characters and the sense of setting and history and the cooking details. The pacing was good. It got just a tad heavy-handed in parts. I think the message could have been stronger if it were a little more subtle. I love the way historical fiction can bring to life something you may have only read dry dates about in some history class. And this particular event is something that is very, very relevant today. For that alone, it's worth reading. Of course, the people who need to read this are probably the people who won't. Still, every soul touched, every mind changed, is valuable. 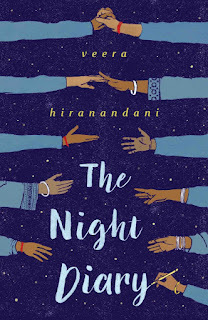 I would recommend this and I would certainly read more by Hiranandani. 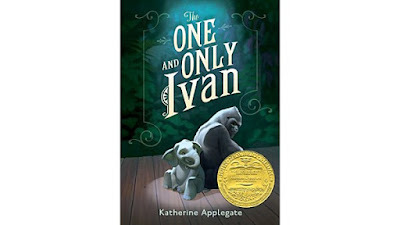 I love this book and have always loved the old Disney movie with Megan Follows. I think that some of Anne's sentiments shaped my world view. Like the thought about how if she really wanted to pray, she'd go out in a big field and look up at the sky and just feel a prayer. And her habit of naming natural places. In my hikes in the hills above Vsetin, I've names the parts of my two favorite trails, things like "The Meadow at the Top of the World," "Giants in the Mist," "The Sacred Grove," "Deer Crossing," "Escher's Woods," and, of course, "Green Gables." I totally agree with Anne that there's more "scope for the imagination" in nature. 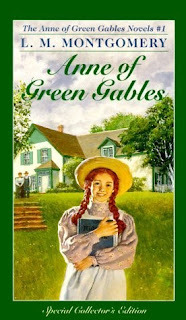 I love the character of Anne: the funny and over-dramatic things she says, the scrapes she gets in, her unique way of looking at things. I was in love with Gilbert when I was younger. I love Marilla and Mathew and Diana. I quote Anne regularly. It's a great book. Reading now, being used to the style of today's novels, some of it does feel a little clunky—the long (though pretty and character-driven) descriptions of nature, people talking to themselves in a way that feels awkward, since it's the style now to use internal thoughts instead of internal dialogue, the slightly rushed feel toward the end, etc. Despite the old-fashioned style, it's withstood the test of him. I love it. And it's such a beautiful thing to have a warm, mostly happy, non-violent, loving book. In all honesty, if I were reading it for the first time today, I might only give it a 4.5 because of the above-mentioned characteristics. But it's too much a part of my life and childhood to not love it with all my heart. 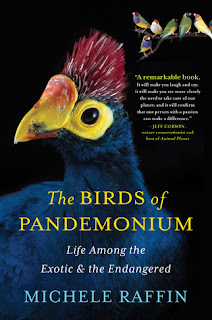 This was a very interesting and absorbing book—and I'm not even a birder (though I do love reading about animals and wildlife). I loved the stories of individual birds and their relationships with each other and their people. I loved the way the family's life transformed, all beginning with one little injured bird on the side of the road. I loved the warmth on so many pages. 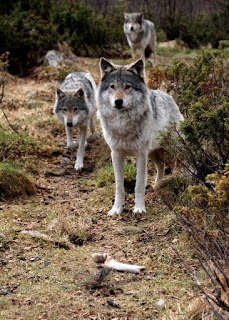 I love the pictures—though not all the animals Raffin talked about were represented. It did skip around confusingly in a few places, and sometimes the chapters (which were mostly more like individual essays) would end on what felt like cliffhangers that were not really resolved in the next chapter (or ever). But what an unexpected pleasure—this random book I found on the library shelves. Recommended to anyone interested in animals. I'm sure glad my little friend rattled. I would have walked right past him...or on him..if he hadn't. As you can imagine, I was a bit jumpy after the encounter, shining my flashlight on any remotely snake-like shadow in the near darkness. I'd never seen a rattler at that high of elevation, though I know they exist, and members of my family and I have seen them with regularity in the somewhat lower Pinal mountains above Globe. This is only the third rattlesnake that's rattled at me in my life. I think the quietness is because it's a bit of a drive on a dirt road and there's no boat ramp, so we had to haul my new inflatable kayak down the trail to the lake--something we could never have done with our huge canoe. However, I hear there's alternate access from the road to the east of the lake, if you ever decide to go with your small carry-able boat. Either way, on the upstream end we had the entire lake to ourselves. So peaceful. We saw two huge tree-top nests which might have belonged to the ospreys who were flying around. Not as exciting as the bear my dad and brother once saw near Bear Canyon Lake, but thrilling nonetheless. 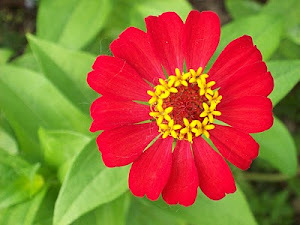 the wildflowers put on their finest and pranced in the breeze. See my previous post for more pictures of the lovely and strange mushrooms I found. I'd never seen so many mushrooms up there--both in quantity and variety. It was quite a joy--though I wished I'd been with an expert who knew if any of them were edible. As soon as I heard about this book, I knew I had to read it. And it didn't disappoint. I loved the premise—both the tiny colony trying to survive on a strange planet and the idea of this planet having intelligent flora. 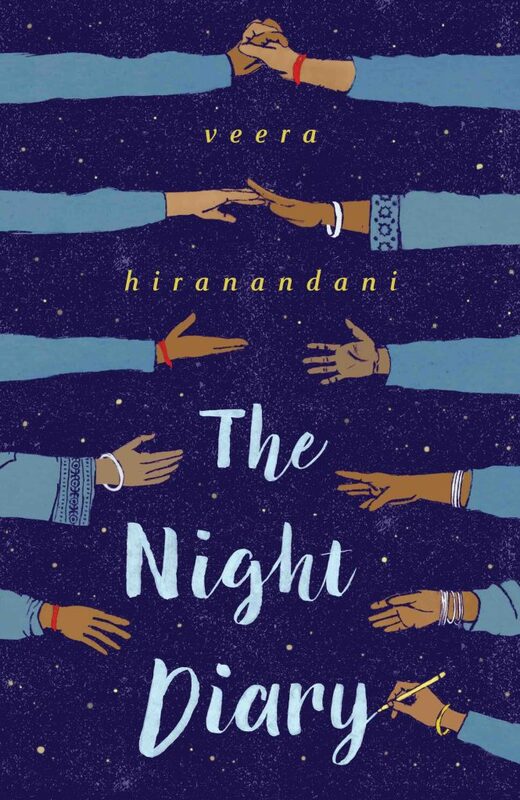 I really enjoyed the story being told over multiple generations by different characters, and how, until closer to the end, each chapter was almost like a short story. I loved watching the culture developing and changing, while still mostly holding true to their peaceful aim. It was a bit of light in a dark world. Because of the changing points of view, I did occasionally feel a bit distant from the characters and sometimes mixed up minor actors, but I wouldn't have had it told any other way. 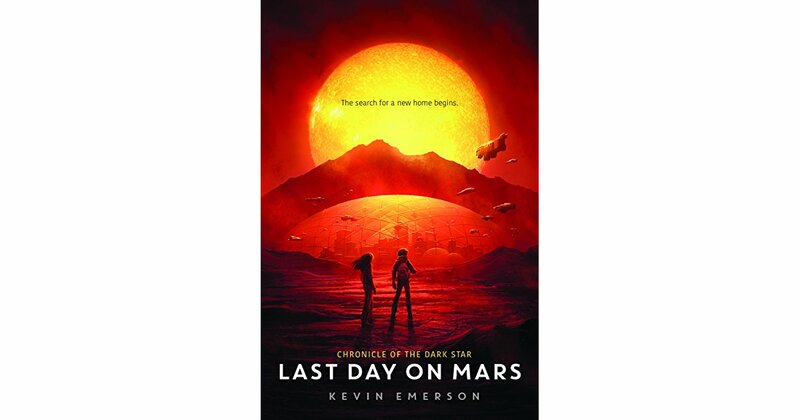 The fascinating premise was somehow both the book's strongest point and the thing that made me unable to give it 5 stars. I didn't have a hard time believing an intelligent plant. I did have a bit of a hard time swallowing the plant being so quick-thinking and quick to adapt, since plants are a life form that live in what we would think of as slow motion. I also couldn't quite believe its facility with human language, and I thought the plant sounded too human—though also quite plant-like in some ways. I loved the way it changed, but things like the "humor root" just felt too easy. Still, such a unique viewpoint and premise. And who knows: maybe this is how an intelligent plant would really be. Maybe I'm thinking too much like an animal. 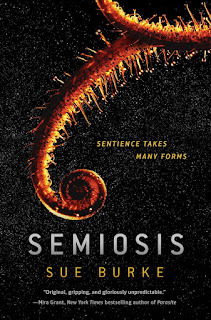 Semiosis is a very, very interesting book, and I absolutely loved the imaginative plants and animals and the sentience of so many things. I strongly recommend it to people who love nature and its amazing variations, both real and imagined. This is a definite 4.5 stars. Almost 5 stars. After I wrote my review, I read some by other people. One reviewer talked about how it was very enjoyable because it didn't have a standard story arc. I hadn't thought about it in exactly those words, but that's probably why I enjoyed the first several chapters more than the last few. As I said above, they were more like interconnected short stories in the same universe, and I loved the ride. I never knew what to expect from the next chapter, and they focused on different aspects of life on Pax. I liked how there weren't a lot of clear-cut bad guys. 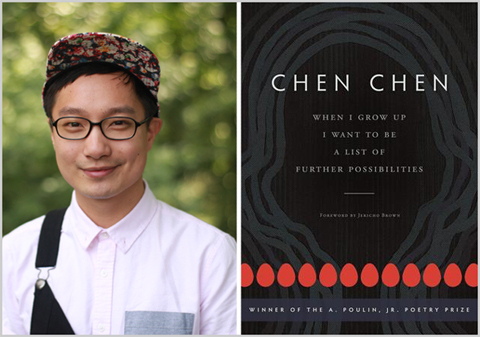 I never knew which characters would be important in the future--or even which ones would survive. It was very unpredictable. Then, when it started getting more "let's defeat the bad guys in a big action-packed climax" it lost some of its unique beauty. Then, of course, I read another review that said they didn't like the book all that much because, basically, it didn't have a standard story arc. Cruising Alaska on a Budget only 99 cents! I'm having a sale on Cruising Alaska on a Budget; a Cruise and Port Guide. For today and tomorrow, it's only 99 cents! Even if you miss the sale, you'll still get a discount for the next few days until it returns to its normal price. If you want to discover Alaska without breaking the bank, that 99 cents will pay for itself many, many times over. The book includes tips on finding good cruise prices, how to anticipate or avoid hidden costs, information on public transportation, and many ideas of great things to do in port for little or no money. I highly recommend an Alaska cruise, especially if you like wildlife and nature. If you dedicate some time to watching the water, you're almost guaranteed to see marine life from the deck of the ship. If you want to see a glacier, Alaska's the place to do it. If you're a hiker, there are so many nice nature strolls and rigorous hikes within easy reach of where your ship stops. It's a paradise of green and blue and white. 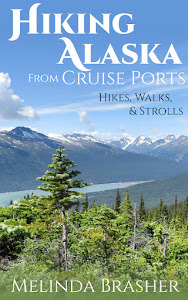 Buy Cruising Alaska on a Budget on Amazon--99 cents! For those of you who aren't familiar with EscapePod, Pseudopod, PodCastle, and Cast of Wonders, they're part of a family of well-respected literary podcasts that were among the first and now longest-running shows of their kind. Escape Pod does science fiction, PodCastle does fantasy, Cast of Wonders is aimed at the young adult who like speculative fiction, and my story appears in Pseudopod, the horror podcast. Now, I don't write a lot of horror, and this story, "A Learned Man," is not a gruesome slash-em-up. The host of the episode, Alasdair Stuart, calls my story "Horror of the rarest, subtlest vintage. 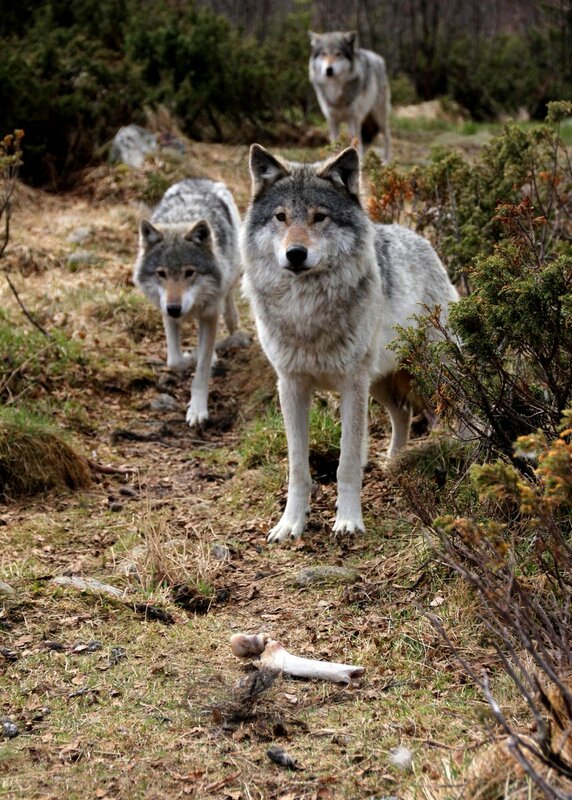 Expertly, chillingly done." "A Learned Man" appeared a while back at Electric Spec, but now it has new life (and voice) with Pseudopod. The reader, Wilson Fowlie, does and excellent job making it come to life. If you like to encourage the arts, please leave a comment in the forum or share on social media. Thanks! Amazing. I read this because it was on a list of books for a reading challenge. 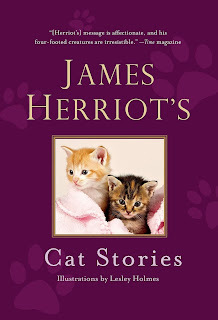 I'd never heard of the author, but from the first few pages I was hooked. The stories just blew me away. I'm not even sure why they were so good, but the writing pulled me in and didn't let go. The emotions were powerful, the characters compelling, the subject matter unusual. Many of them took some strange small thing and made it central in such a beautiful way that I just kept thinking, "I wish I'd written this." The settings and microcultures were real. Everything…just a masterpiece. None of the stories wrapped us as much as I like. They all left me hanging, hungering for more, wanting these characters to find more peace, more definite solutions, more answers. Yet despite my preference for conclusions that are…well…conclusive…I loved these. There was always just enough…just a bit of hope or a bit of closure. Yet they kept me thinking about them afterward. I enjoyed the common thread that wove through most of the stories—a movie that was important in different ways to different people. However, it did seem strange that this common thread was missing in only a couple of stories. However, maybe I just missed it because I wasn't watching for it in the beginning. I'll have to read the whole collection again. And for the first time in a long while, I look forward to re-reading a book. Five stars, no question--and I do not give five stars lightly. 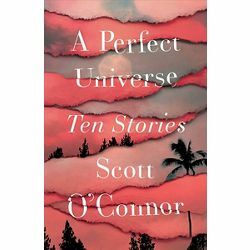 In fact, I just looked back and for the last 50 novels or short story collections I've read, this is only the second one I've given 5 stars. Warning: a bit more profanity than I like, but not excessive. And it's not exactly a light and happy read. 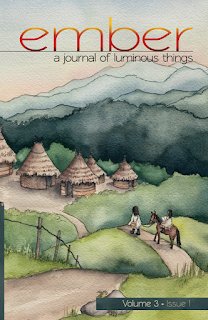 My short story, "The Curse," about a woman haunted by a decision she made years ago, is out in <i>Ember; a Journal of Luminous Things</i>. The cover art is beautiful, and there's more artwork throughout, so I'm excited to get my contributor's copies and see how it all looks in print. 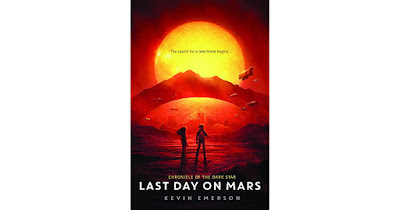 If you're interested, use this link to get a 35% discount: https://go.egjpress.org/e31-brasher There's a fancy limited-time edition and a trade paperback. I went to the Heard Museum in Phoenix for the first time a few days ago (I know, I know...I should have explored this well-respected museum much sooner). I was a bit surprised by its focus. I was expecting more ethnographic, historical, and archaeological displays, and not quite so much art, but I enjoyed the mix. And, if you look at the website, it clearly states "Heard Museum; Advancing American Indian Art." The museum has a lot of temporary exhibits, so you can go multiple times and always see something new. My favorite of the temporary exhibits was "Symmetry in Stone: The Jewelry of Richard I. Chavez." He's an amazing jewelry maker, often cutting coral, turquoise, jade, and other stones into small pieces that he then fits together like perfect mosaics. Beautiful stuff. The most interesting permanent exhibit to me (and the most heart-breaking) was "Remembering our Indian School Days: The Boarding School Experience." I also enjoyed the "Home" display with information, pottery, baskets, katsina (AKA kachina) dolls, clothing, jewelry, etc. from the different Arizona tribes, along with cultural information about each one. I just wished they'd had better maps that showed where each lived at different times in history. Some of the sculptures scattered around and in the courtyards were really cool. My absolute favorite part (I'm such a kid), was "It's Your Turn; a Home Studio." It's a hand-on, interactive exhibit about the daily home art of various tribes. You can build a hogan with giant legos, put together puzzles, and make crafts!!! Totally cool. And it gave me lots of inspiration for activities I can do with my kids at the library. Remember that they're one of the museums that participates in the Culture Pass program, where you can get two FREE tickets by checking out a Culture Pass at your local Phoenix-area library! They also have discounts for seniors,children, AAA members, FREE entry to Native Americans, FREE entry to active-duty military and their families during summer, and FREE first Fridays in the evening. They also participate in Bank of America's "Museums on Us" program. These special free and discounted entries may not apply during special events. Various daily tours are free. We spent about 5 hours there. You can leave in the middle and have a picnic on their pretty grounds or go to a nearby restaurant and come back. Alternately, you can spend a LOT of money on sandwiches and such at their cafe. The bookshop and museum store are open to the public without paying admission. The library (for reading and studying there but not, I believe, for checking out books) is open Monday-Friday. They also have programs such as hoop dances (I LOVE hoop dances), lectures, and other special events, sometimes for additional fees. This is a really interesting book, with information about--and quotes from the experts in--each discipline. 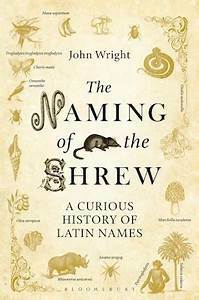 Some of this is rather tongue-in-cheek, especially about things like apple bobbing and stone skipping. I love the "how it ends" section for each game—most quite funny. Good humor, but also physics, math, strategy, logic, and lots on strange tidbits. 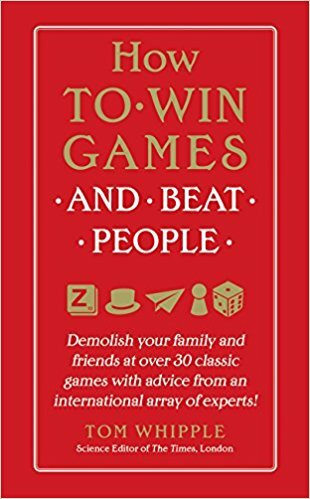 Great book if you like games as much as I do. Oh, and thanks to this, I spent entirely too much time alternately laughing at and being amazed by 20Q.net, the AI internet program that can play twenty questions with you. Go look it up. A very strong 4.5 stars. 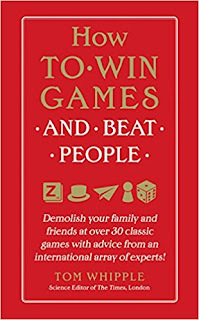 And just in case you can't read the subtitle, here's the whole thing: "How to Win Game and Beat People; Demolish your family and friends at over 30 classic games with advice from an international array of experts." Cool old mining equipment at Old Dominion Park in Globe. It's at the site of an old mine and you can see old ruins and read a lot of really interesting information about the history of the place and the industry. There are also picnic tables, short hiking trails, a cool playground, and a frisbee golf course.